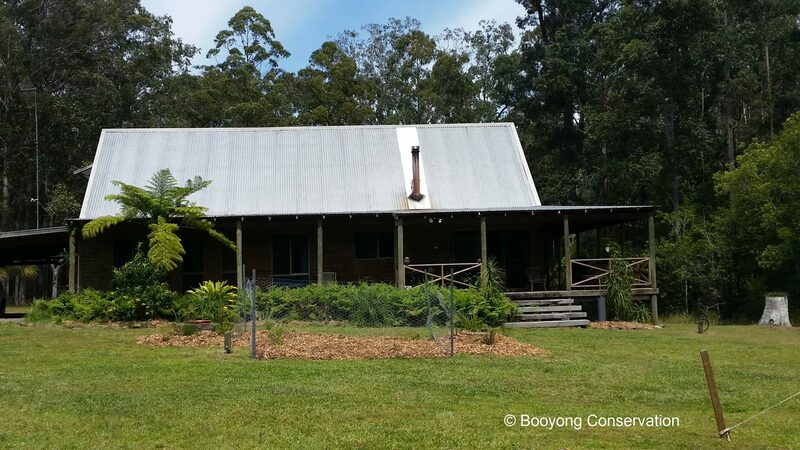 We all know water is an essential part of life and as we are developing and working towards grow ing our own food forest and becoming self-sustaining at Booyong, it is a clear priority. We are fortunate to have some eight dams on our property, however the most important one above the food forest was inundated with reeds and not holding water. 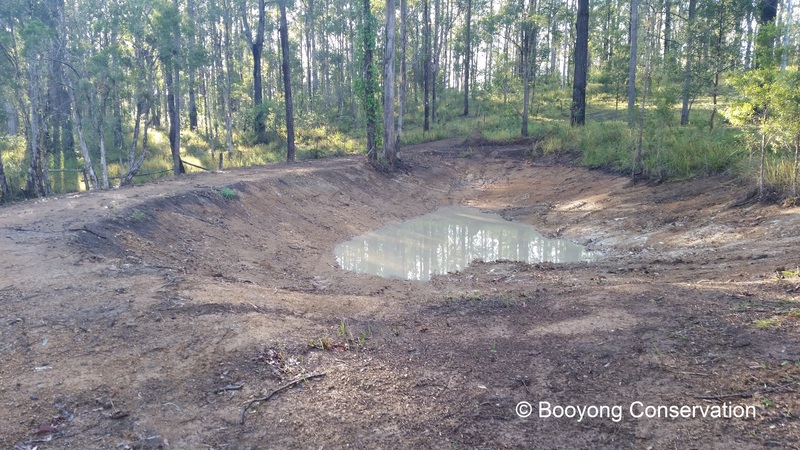 We have planted several fruit trees in the Food forest since arriving and after a few dry seasons and considerable lack of rain we have decided to fix the leaking dam that sits above it. There is no point planting more fruit trees if you have no water to sustain them. Our friend Lynn recommended Nigel as an excavator and we are very grateful, the dam wall appears strong and the dam is filling quickly. We have terraced garden beds along the dam wall using soil that was removed when the dam was cleared. It is our intention to bark this area and grow edibles with shallow roots that will not harm the dam’s wall. We are currently successfully growing pumpkins and rosella’s here while we await a second hand mulcher at a good price. I am very excited to explore what water plants I can grow in this area and our next big project once it has filled will be to consider the irrigation method for the food forest. • The clearing of native vegetation is generally not permitted, however as this was an already established dam this was not applicable. • If the dam will be used for irrigation, this may increase its size considerably, depending on what proportion of the crop’s water needs the storage will hold. We will see how this goes and whether it is adequate for the Food forest over time. • Evaporation losses from a storage area are not constant and vary from month to month and from location to location. • The source of water will be rainfall that runs off the catchment and we are fortunate that this dam is at the base of a hill, it will capture water beautifully. • Spillways reduce erosion damage to the embankment and help prevent dam failure. They are used to pass floodwater around the dam that would otherwise go over the embankment or erode a new channel around the embankment. We will establish a grass cover on the embankment and spillway as soon as possible to reduce erosion. • Do not let trees or shrubs grow on the embankment, spillway or spillway outlet slope. Roots might disturb the compacted soil and provide a seepage path for water, while trees or shrubs in the spillway area will restrict the flow of flood water.